SuperControl makes it easier to stay informed and up-to-date. It’s straightforward to view reports and forecasts and complete your bank reconciliations¹. This provides you with the tools to see which properties are performing well, identify any opportunities to boost more bookings, and know your financial situation at any given time. You can compare Year-on-year performance at the touch of a button; view Forward bookings and keep track of any money you’re due in Future revenue. This is key information to help you plan promotions to fill any gaps in your availability calendars and operate to maximum occupancy. Information is displayed in user-friendly graphs and charts and can be exported to spreadsheets for further analysis. This is useful for e.g. sharing data with your accountant. 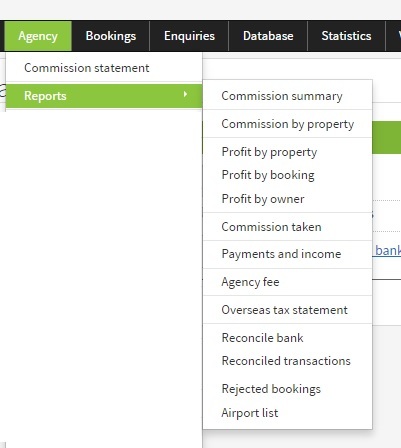 So in addition to bank reconciliations, you can view commissions and analyse profits in further detail. If you already use SuperControl, you can find more information by clicking on Help in the top right of the screen when you have logged in to your account. If you don’t already use SuperControl and want to find out more, <book a demo> and a member of our team will show you how it can work for you.